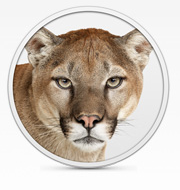 As you know Apple released the 1st beta of OS X Mountain Lion yesterday. I installed a fresh copy on a disk partition and fired up the latest copy of AirPrint Activator on it. I am happy to report that AirPrint Activator work just as well as it did under Leopard and Snow Leopard. Nothing appear to be broken. The new OS X Gatekeper is also happy to run AirPrint Activator as it is signed with my Apple issued developer digital certificate. Do not hesitate to report posible issue with OS X Mountain Lion if you run in one. That is pretty much the files being modified beside some Daemon files added when you turn VPN Activator ON. Turning if OFF will clean up the Daemon file and only leave the modified .plist file. Question: I work in a factory/office environment with roughly three dozen computers and two dozen printers, many of which are community printers. We are running a combination of OSX versions, WinXP and Win7. When I turn AirPrint Activator on from my MAC, all of the printers are available, but I only want to see about three of them. Only a few of us have a need for AirPrint, specifically those of us on the factory floor that want to print off pictures of what we see and have them available by the time we get back to our offices. None of the printers I want to use are local printers, so I can’t scale down the number of printers that everyone is seeing. Am I missing something, or is that the only way to control what printers show up twice? I really don’t want to have all printers go through my computer and have everyone print through APA. (12A128p). I double click the Airplay Activator icon after placing it in the Applications folder and nothing happens. I’ve tried installing it and uninstalling it and nothing. Which version Beta 2? I have not installed beta 2 yet. It used to work fine under beta 1. I will give it a try to see if something got broken under the latest beta. I am using Mountain Lion DP2, my printer is shared, but AirPrint Activator does not show it (the list is empty), I fix it when I disable the (In Advanced settings) “Only advertise locally shared printers”. I hope it help others. Another Question, is there any way to disable colour printing for AirPrint Activator? I’m having firewall issues. Just installed AirPrint Activator v2.1b7 intel on Mac OS 10.7.3 with Firewall running – installed the helper in firewall config as instructed. Can not print from iOS if Mac Firewall is up – get “Contacting Printer” and hang. With Firewall down – prints like a charm. Have rebooted (old windows trick … ) no luck. [~]$ ps -ef | grep AirPrint 501 362 297 0 4:45PM ?? 0:00.10 /Applications/AirPrintActivator/AirPrintActivator.app/Contents/Resources/AirPrintDaemon.app/Contents/MacOS/AirPrintDaemon 501 398 1 0 4:45PM ?? 0:00.02 /Applications/AirPrintActivator/helper/aparedir 19631 Thor.local. :631 501 530 524 0 4:57PM ttys000 0:00.00 grep AirPrintAny advice? You are probably suffering from a bug that occur when one upgrade from Leopard, to Snow to Lion. For some reason the firewall won’t let aparedir work. Unless it is because you have configured your firewall for stealth mode? This is also known to break AirPrintActivator. The good news is that a new developer has jinxed the team an he is actively working on porting aparedir to native Xcode. This should help resolve this issue. I have installed the program. The printer shows up in the printers activated list for Air Printing. It does not show up in either my iPhone 4s or my original iPad. There will be a lot of output in the Console app of OSX. If you can send me a copy of those by email it might help us figure out what is wrong. Make sure you connect your iDevice to the same network as you Mac. i have an Epson Artisan 810, and it only recognizes the fax side of the device; it will not print as it did before the upgrade to Mountain Lion; any suggestions? Same here….upgraded to Mountain Lion and AirPrint printer that used to show up in the List of Printers on iPad / iPhone no longer shows up. Are they working on an update to make it compatible with new MacOS>? thanks! Oh yeah…also tried the setting: “Only advertise locally shared printers” to no avail. -when I open AirPrint in Preferences it will stop responding.